So been shooting for over a month now at the range and didour first skirmish last week. When I started out I planned on getting a CM16 Raider, a good solid starter rifle. Why is it though when I want to buy something whether its a PC, a TV or anything, I start off with a reasonable budget and then slowly creep up to something higher and end up paying much more? However, now Ive started looking at the Krytac Trident CRB Mk2 and may well placing a pre-order today on one, so now up to £329 + accessories! If I do get the Krytac I really want to change that stock at some point, and the pistol grip isn't nice looking either. Creeping desires. Tell me about it. It happened with my first rifle. It gets worse the more expensive the item. Just wait until it happens when you're buying a car. I can't give any real advice about the guns but everybody seems to be raving on about the Krytac. My father once gave me the advice of dont buy the cheapest - you spend a lot of time after wishing you had spent a little more. Similarly, buying a Real Sword or a TM and then breaking it on a skirmish can be a withering experience. Sometimes, the middle ground is the best. Ive got G&G toptech rifles and a Krytac. They are both good. It depends on what your motivation is. Some players accept they are toy guns and happily run round with polymer guns, primarily interested in the performance and the skirmish. Personally, I like realistic airsoft guns so go for the metal versions. In saying that, the G&G "plastic" guns are very good quality. Its up to you entirely. IMHO, the largely fictional aesthetics of the G&Gs make them Fugly as hell and the chances those 'ergonomic finger grooved' style grips will actually be the right size for your hands are almost nil (because they're barely the right size for anybody's hands); there's a reason the smoother pistol grips (on rifles and pistol frames) are much more popular with people who've got some experience and know what they're doing. Looks are, of course, a personal thing though. Somewhat ironic the way airsoft has swung to the point that the Krytac LVOA (pretty faithful replica of a real gun) is now considered uglier than those G&G copies of it, used to be the opposite, but each to their own. If you can go with the Krytac though, chances are the internals will hold up far far better, it's just a generally higher quality AEG inside and out, which is exactly what you need in a first purchase. I mean if you don't want to spend the extra, or you try out both at a shop and totally hate the feel of the Krytac, then sure G&Gs have a good reputation because they're a good gun the vast majority of the time, but this is once instance where you genuinely do get what you pay for. All personal taste eh, I love the Predator, the G&G one for me looks far nicer than the Krytac one but can see why some wouldnt. Then if Im paying £260 for something £320 is only £60 more and getting that extra quality. 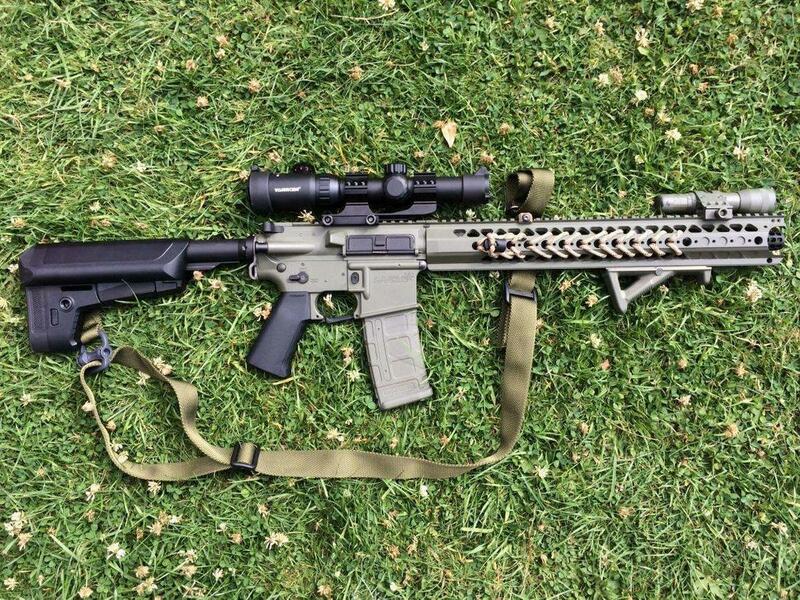 If the Krytac CRB ha a nicer stock and grip I think I wouldnt even be debating it, it just looks very plain to me, which is shallow I know. 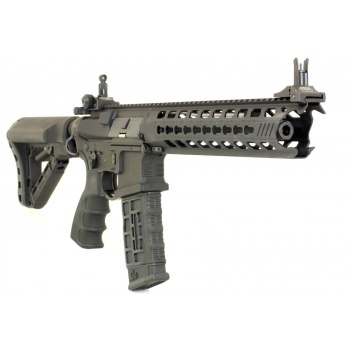 Well thats that, Krytac CRB ordered. Any recommendations for mid cap magazines? Not a fan of those ones with the bullet windows..
Not really as I like the ones with the windows. The ones in the photograph shown are BAMF but I now use PMAGs, which have better imitation rounds in the window. 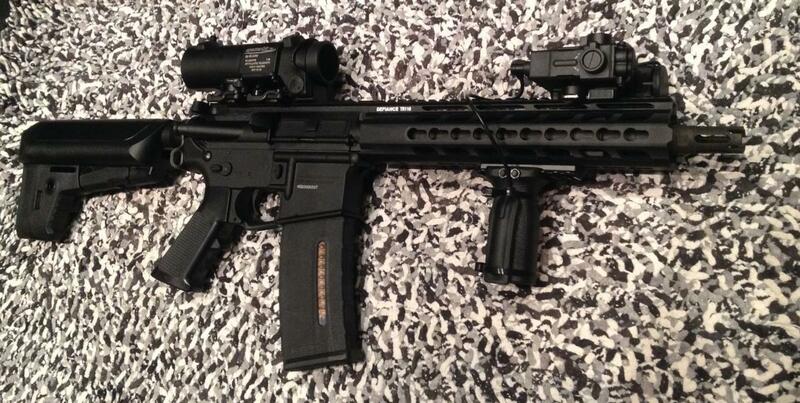 I think the CRBs are quite forgiving of the different types where many G&G rifles are fussy. This is a high cap, but you can get identical looking mids. Managed to get a couple of G&G 120rd mags on ebay, really hard to find magazines in stock anywhere. The creep is crippling. I started with a budget of 500 on my recent project. Then the 'but an extra 10 quid there for that extra shiny one won't hurt.. But if I get that, I'll need the right adapter to go with it. I should probably upgrade the barrel for something longer. If I do, I'll need some kind of barrel extension.' The list will forever grow. The main advice here is delete all emails, burn all receipts and convince your better half that everything is buy one get one free or that nothing cost more than a fiver. I paid £400 for my G&G LR-300 2 years ago, since then I added a foregrip that cost £20 & erm.....that's all I have done to it. I've never even serviced it yet. £900 on externals ? I don't think my entire Gun & loadout combined came to that. ASG 140rd, come in packs of 5 or 10. Very durable for £5 each. I ended up getting a box of Mag 130 rds. They are ok, had to tape them to stop the rattle and one did die after a couple of sessions. Both makes feed well into my Krytac and empty to the last BB. I use the Ares amoeba 140 round mid caps (With the little handle flippy thing) I have been using them for a year and they are great. G&G the ones with the silly followers? Get your last 4 BBs but can't ram the mags back into pouches? Use a dump pouch personally so no issue there, but they are tight in pouches certainly.